A couple months ago, I spent a few days in the woods north of Bancroft, Ontario. 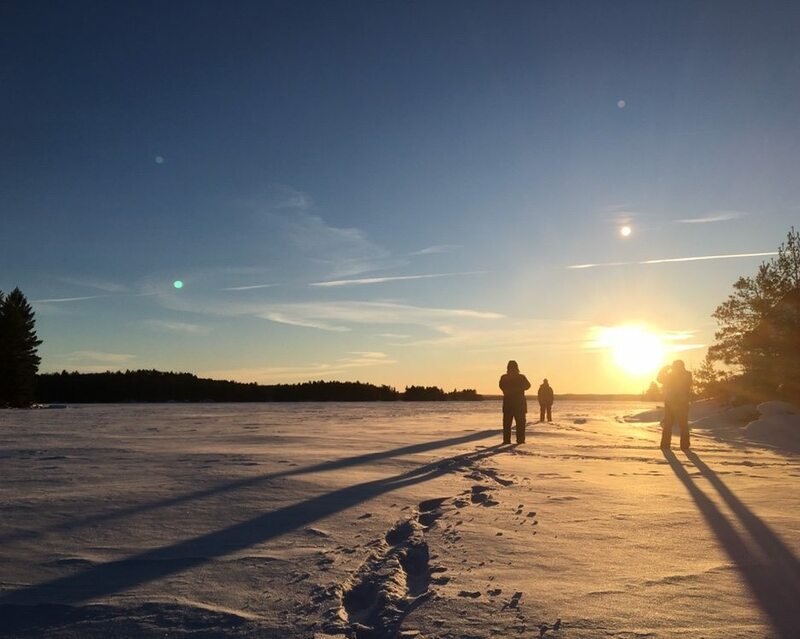 It was a frigid -30C with windchill values hitting -46C, but this is part of life when entering the Canadian wilderness in January, and ultimately we knew that it would be a great experience. I truly value these experiences. They push my comfort zone and force me to connect more deeply with friends, family, my kids, nature, and more importantly, myself. Actually, many of my financial arguments with my wife are around decisions on spending as I mostly spend my money on experiences rather than ‘things’. I’ve always been this way. When I began my career 10 years ago, I could never have comprehended the journey that teaching would take me on. I spent my first year teaching in an Inuit community in Nunavut and this was transformative in so many ways – mostly personal. I came back south and worked various LTOs with my local public board. After a couple of years, the urge to explore and experience the world again crept back in and I left Canada to teach in Casablanca, Morocco. Again, this experience was transformative, changing my perspective on life and teaching. Returning home, I landed a job at Lakefield College School where I have grown so much more as a teacher; learning from and travelling the world with my students, learning with my amazing colleagues, and having doors opened to me. My life at LCS has been and continues to be, transformative. My life has been sculpted through experiences, and I truly believe that student learning should be too. Not just good assignments or labs, but real life-worthy experiences that engage our students deeply across all disciplines. We thrive on experiences because every new experience means new learning. It pushes us out of our comfort zones, forces us to take a different approach, and changes the ‘I used to think’ to ‘Now I think’. With my new position at LCS, Director of Global Learning, I was given the opportunity to marry my passion for geography, travel, adventure, teaching. And so, my action plan this year revolved around making our Global Learning Trips more meaningful. They are transformative experiences as they are, but how do we ensure our students are asking the right questions, digging deeper to understand themselves and their place in the world better? Action Plan: How might we support deep global learning through meaningful experiences and programming? General knowledge of destination country, culture, history, and people. Overall self-awareness and its importance to global experiences. Understanding of their privileges as they pertain to global experiences. Understanding of how biases and assumptions can affect interactions. Heading into the pre-retreat weekend, I was nervous. My creative juices had been flowing for months in anticipation of this weekend. 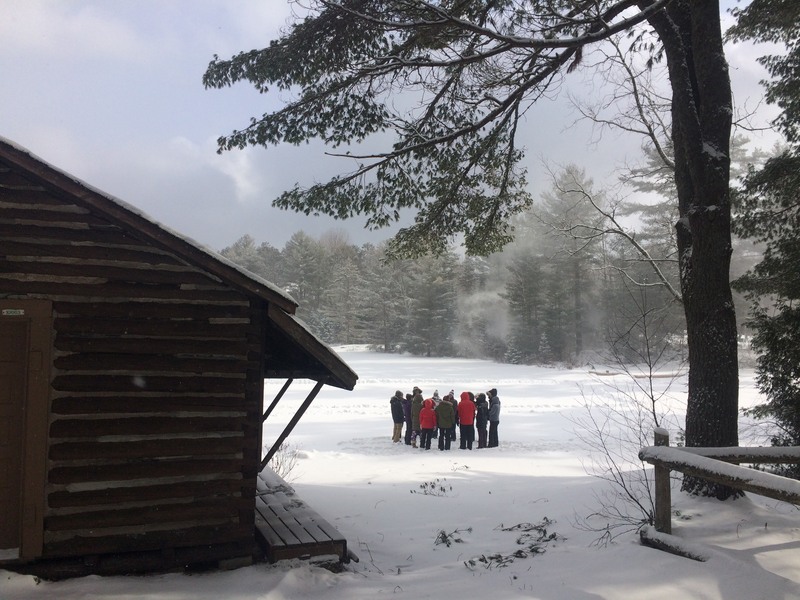 Through collaboration with some Global Learning team leaders, my direct report, @vboomgaardt, and our pedagogical coaches, @ddoucet and Ali Webb, the Global Learning retreat was sculpted into something that I was excited about. Once up at Bark Lake, the scene was set. 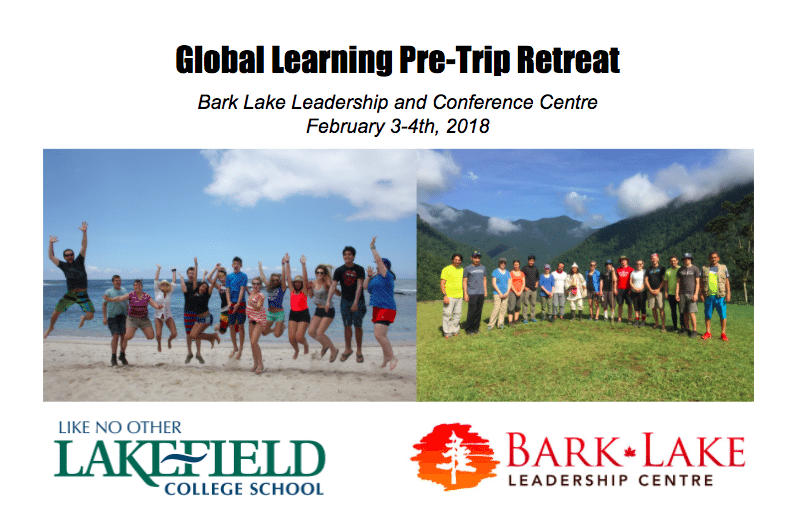 Our students were put through the learning ringer with a heavily packed 2-day global learning experience with activities, deep reflective time, and creative outlets that pertained to their countries. 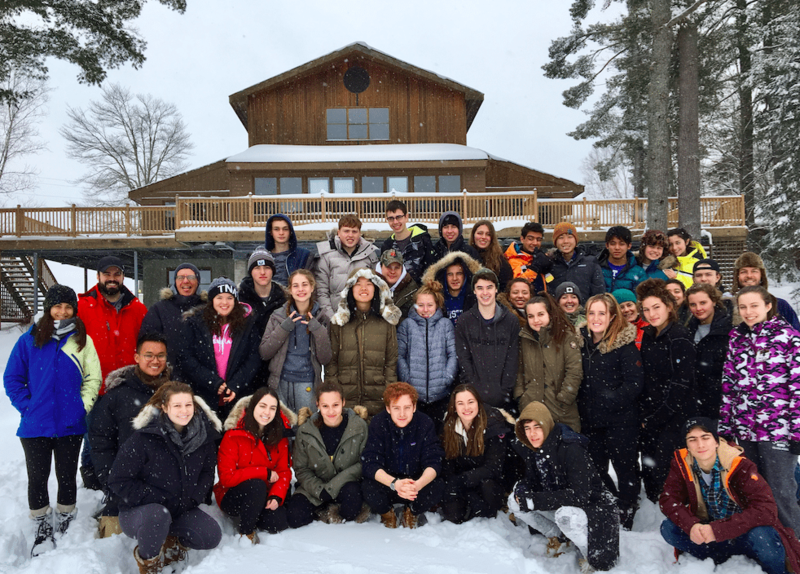 They worked, ate, and slept with their team and began their journey of self-discovery and global learning well before heading to their respective countries over March Break. Like any new program, constructive feedback and changes are bound to arise. What I didn’t fully expect, was how much our students took from this experience. I leave you with some of the student feedback from their experience (see below). Reading these again and seeing words like ‘grateful, trust, mindful, gives me goosebumps to this day. It was one of the most powerful experiences that I have been apart of as a teacher. “Really getting to know my group, we didn’t really know each other before. I didn’t really know exactly what to expect on this trip until I went on his retreat. The privileges activity was really eye opening and I really enjoyed that. 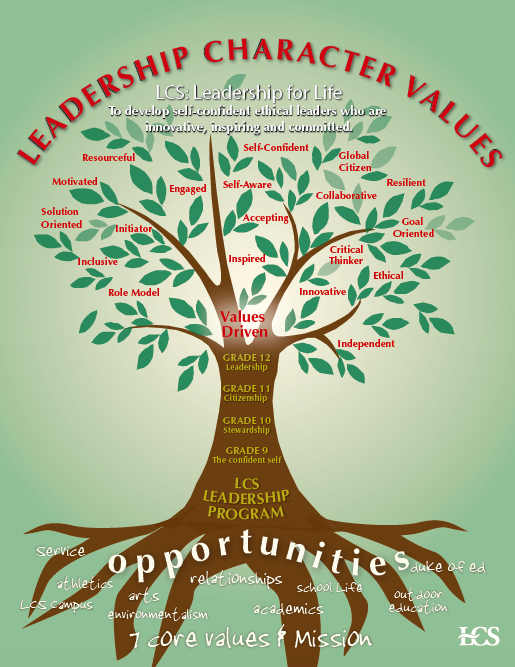 Three years ago, I got the chance to start working in our newly formed program called Leadership, Character, and Values (LCV). Aimed at building leadership from grade 9 through to grade 12, it focuses on scaffolding successful leadership skills as students moved through their high school experience and then off to post-secondary education. Like most independent schools, the diversity of student programming is both wide and sometimes competitive (often competing against each other for time and space). We have spent the past few years building the program and slowly earning the respect (program-wise) of both staff and students. That being said, our students are constantly pulled in many directions which creates a hierarchy of priority, which sometimes results in ‘Leadership’ being prioritised differently when up against academics, athletics, arts, and other programs. By empathising with the students, it is easy to understand why they might disengage in a program like LCV when it’s new, mandatory, and immersed in a program demanding school such as mine. Though I have seen an increased engagement over the years, I am still challenged to create an engaging program that drives enthusiasm and empowers students to embrace and value skills surrounding leadership and character. What does it all come down to? All leadership is based on the ability to work together and build relationships. If the students aren’t aware of their own abilities and ‘types’, then how are they able to correct actions that would affect their own ability to work with others on a day to day basis. Awareness of who THEY are is key. This year, I’m hoping to tackle three distinct areas. Empower students to make decisions, plan events, and become aware of their own strengths and weakness as they apply it to working with others and building relationships. Create an enthusiasm around the leadership, character, and values program. Yesterday, I ran a two-hour leadership retreat for the grade 11’s. The goal was to create awareness around their ‘type’ (defined by Extrovert/Introvert, Thinker/Feeler, Sensor/Intuitive, Perceiver/Judger) and how it affects their ability to work in teams as they are tasked this year with designing the student Christmas party and a Global Literacy Initiative week in the spring. Teamwork, awareness of self, and leadership will ultimately be the key to their success. 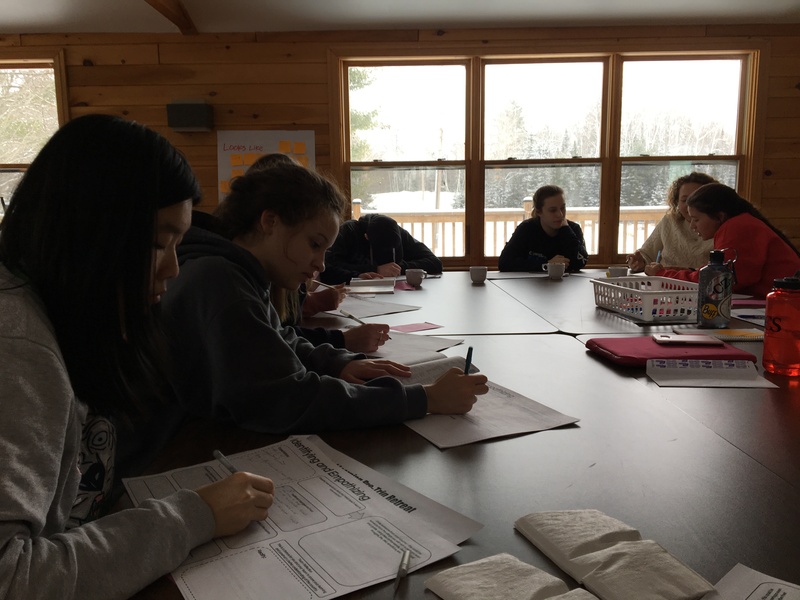 Prior to the morning retreat, each grade 11 completed a newly designed Personality Type ‘Verifier’ through a program called TypeCoach developed in association with Harvard and Stanford. From the results we designed a program to increase personal awareness of how their type will affect their ability to work with others. The resulting report is eye-opening and gives areas to work on, challenges they face, strengths they have, and suggested techniques when working with other ‘Types’ – Here is my report for an idea of what that looks like. After a few team challenges (including the 18-minute Marshmallow Challenge developed by Tim Wujec – see below) and individual reflection we had them ‘own’ their type and make commitment statements for the year. I am hoping that we can circle back throughout the year to their type and these statements. Love to hear your thoughts, feedback, suggestions? 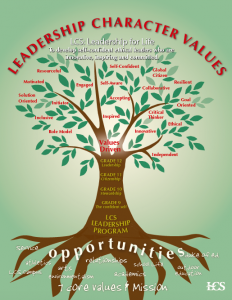 How might I build a leadership program for the Grade 11 class that empowers and engages a meaningful and enthusiastic approach to leadership, character, and values? Learning really never ends, eh? Cohort 21 has provided me with yet another chance to think, re-evaluate, and implement new practices in teaching. Working alongside some fantastic facilitators and coaches, and with a new cohort of educational thinkers and tinkerers, I have received much feedback on assessment and feedback in my classroom. Moving forward, assessment truly is a journey. Working with a few colleagues at my school, we implemented an Assessment Tuning Protocol PD session that involved faculty from a variety of disciplines. The feedback I got when presenting my classroom dilemma was astounding. Working with my colleagues not only allowed me to tune my assessment practices, it also offered us a chance to learn from each other in a meaningful and respectful structured session. Everyone walked away with something new to think about- this not only helped in opening the dialogue on assessment strategies, it also benefits the students and their learning. Working and learning from others has offered the most practical growth for me this year. 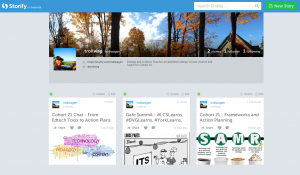 Comments on blogs, working with colleagues, and informal conversations during Cohort 21 face to faces has meant a redefining of how I use assessments in my class. We are constantly working towards being better – a better self, a better educator, a better husband, a better father… In the end, it is most important to always believe in the journey – there is no perfection, only a path of learning that never ends. Thank you to all those who helped with my action plan this year. Your comments, ideas, and suggestions have been very much appreciated! Looking forward to our next Face to Face in Hamilton. Last year, I spent much time figuring out the intricacies of applying project based learning in my grade 12 biology class. 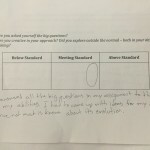 I shifted to teaching grade 11 biology this year and quickly realized upon reflecting from my experience last year, that I needed to iron out my approach to feedback and assessment in order to deepen student learning while also having them practice the skills they need for 21st-century life in education. At my school, I have found that there seems to be a significant gap in the conversation surrounding assessment. I began to approach a few people that I knew could help, both with my classroom dilemma and with a desire to start conversations around assessment in the wider community. Joe McCrae, who recently moved to our community and join the LCS faculty, had spent quite some time working with protocols designed by The National School Reform Faculty who’s mission is to “empower educators to create meaningful learning experiences for all, by collaborating effectively in reflective democratic communities that foster educational equity and social justice.” He suggested that we offer up an opportunity to present my dilemmas surrounding assessment to the greater faculty. @ddoucet, Joe, and I sent out an invite and were pleasantly surprised by the overwhelming response by people who wanted to talk more about assessment (approximately 40% of our faculty responded and wanted to be involved), and I was happy to see that people were interested in working as a team to approach the dilemma I was having in my grade 11 biology class; perhaps a dilemma they were also having. The NSRF is a not-for-profit organization and offers several free protocols that allow for collaborative approaches to a variety of situations in your school and class. (Protocols from A-Z). There are many so depending on what your goal is for the collaborative time with staff or students, will depend on which protocol fits. As I was looking for consultation and feedback from my colleagues, we decided the Consultancy Protocol would offer the best structure for me to get as much feedback on my Cohort 21 action plan and assessment dilemmas as possible. First of all, I presented a PBL activity that I had given to my students and explained the process of daily goal setting and reflective practice (using docAppender). 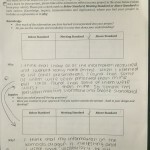 I also presented my self-assessment piece that the students had to complete and the rubric that I used to evaluate. 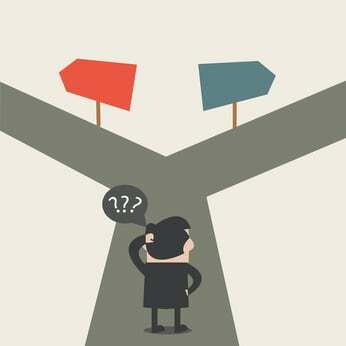 Dilemma #1 – How can I use assessment in my Biology course to deepen student understanding and improve the quality of student work. Dilemma #2 – How can I clearly communicate my expectations of student work. a group discussion where I metaphorically stepped out of the conversation and they discussed my dilemmas and presentation, allowing me to listen and take notes, thereby receiving the feedback that I needed. What was the reflection – Did they every get feedback on what they actually wrote? How you’ve practiced integrating vocabulary before the project? 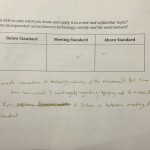 When you are marking, how do you anchor levels from the rubric. How do you maintain consistency between students or marking times? How many nailed it out of the park? 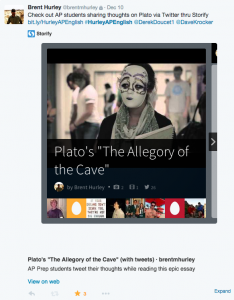 Plagiarism and references? How did you handle this? I am often the person that says this is my fault if this tanked. Have you thought of other reasons, beyond the scope of your project? Have you considered other factors? If more teachers did PBL, would kids have an easier time with this type of work? How much do you think their abilities in reading and writing affected their results? How were you evaluating their ability to take what they know and apply it to the new topic. Why do you think they were misjudging their work, and how could you change this? Cross-curricular. Many opportunities to approach other teacher and collaborate. Involve students with exemplars and breaking down the rubric. Feedback at the start – what does excellent work look like? Less emphasis on the goal and what they accomplished – explicit feedback so they can work to overall expectations. 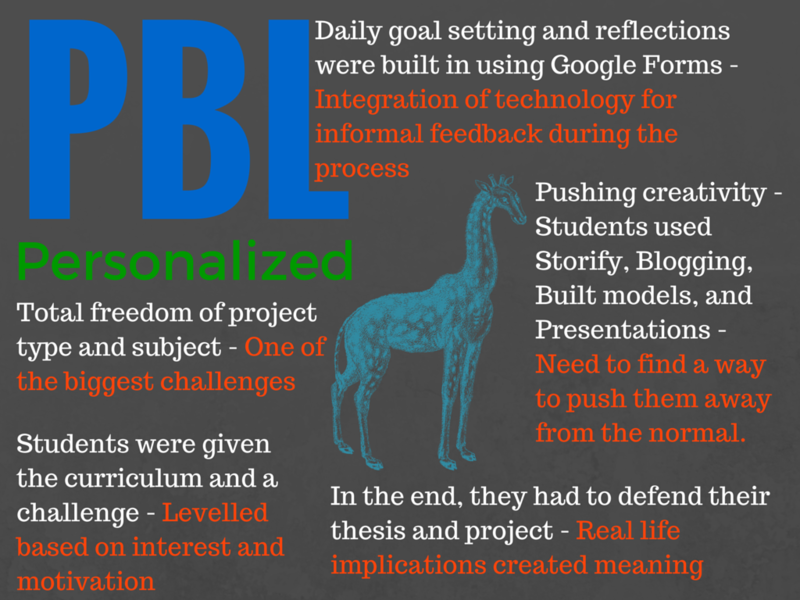 Research versus PBL – what is the difference really? What has this done for me and my colleagues? Warm / Cool Feedback about the structure of this conversation. I liked the structure of clarifying questions, probing, and then discussion. I think it encouraged us to refrain from jumping to conclusions or making assumptions. We had to really listen and think deeply. Do you feel like you were able to take something away from this conversation for your own practice? Yes- I’d like to use the protocol itself somehow in the classroom. I also was encouraged to hear teachers wrestling with the same challenges I face. Yes – I liked how the protocols demanded engagement. For 50 minutes, we needed to be there and nowhere else but I got more from that 50 minutes than I have from all other meetings combined this year. Makes me realise that i shouldn’t be giving my students the option of disengaging. Made me excited about PBL – something I think I often take for granted – and reflective about my own assessment practices. 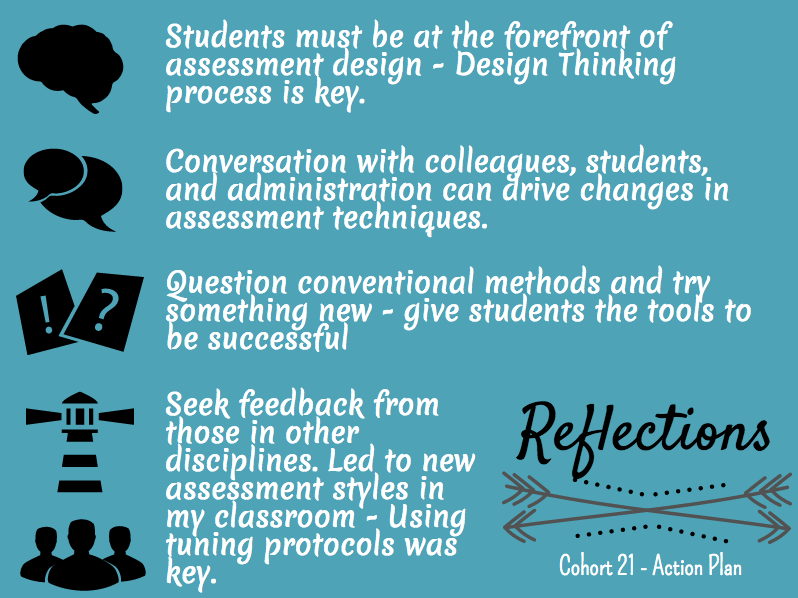 Imagine the power of integrating these protocols with the Design Thinking process. The results would be powerful for approaching dilemmas, both in the class and in the school. How will your students receive, accept, and apply feedback? the projects and labs that we did in Physics and Chemistry, rarely was I asked to design my own project, reflect on how I was learning or being assessed, and never did I ever conference with a teacher about my learning. Last year, I worked through a Project-Based Learning unit where I gave constant feedback daily and students created questions, delved into subjects of their own choice, and made connections to the curriculum. In the end, I handed them a rubric with a grade and some comments on it. How were they supposed to learn from a piece of paper? It was during this unit, where I realized that I needed to re-evaluate how I give and more importantly, use feedback. In the process of Design Thinking (See @lmcbeth’s post here), the empathizing piece is so important. How do I design a project that pushes 21st-century students to engage their interests and work to their own potential? Then, how do I create a system of feedback that is both constructive and immediate with an assessment process that allows for student reflection and learning? Ideally, learning FROM the rubrics, comments and feedback I provide on a continual basis. My goal is to devise a feedback process that is more immediate, can be applied to any type of assessment, and is clearly visible along the way. 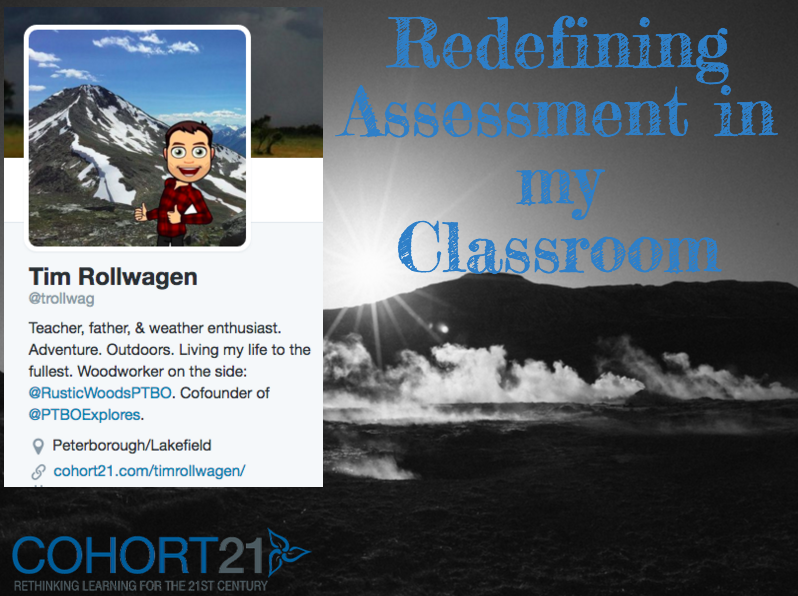 Ideally, I’d like to redesign my classroom as well – with feedback and assessment in mind. My challenge – perhaps this is two action plans in one. The design thinking process allowed me to break down my problem and see it more clearly. The immediate feedback through collaboration at Cohort 21 was exactly what I needed. The why is so important. I answered all the big questions – Had to develop my own ideas. After this, we conferenced with the students regarding their rubric and their self-reflection – this process often resulted with an ‘Ah ha’ moment for some of the students. It was clear to both myself and them that there is a need for more instances of feedback throughout the process – this is something that I need to focus on and has been an area of growth for me for quite awhile now. Somehow, I also want to redesign my space both in real life and online to better my feedback and increase student learning. I’m certainly on my way, but much more growth lies ahead. Throughout our last F2F, applying the Design model to this problem brought to light many new insights and ideas. The numerous conversations fueled a new appreciation for what assessment is really supposed to look like. 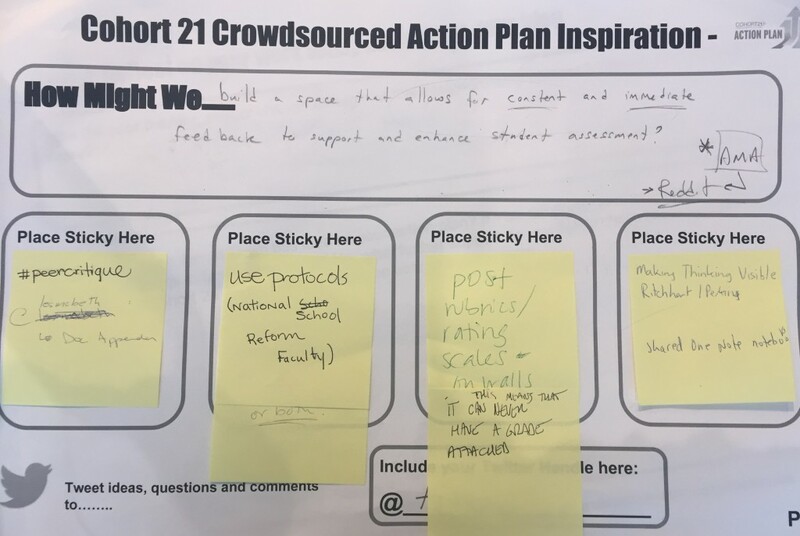 A big thank you to @ksolowey, @gnichols, @lmcbeth, & @ddoucet along with many others in the Cohort 21 group who gave me great feedback and ideas to move forward with. At the end of the day, great assessments are only the starting point. What they do with their feedback is where true learning and growth really happens. I’d love to hear your thoughts on feedback and assessment. What are other techniques that you use to make sure feedback is actually used to enhance learning? How do you make it consistent and timely? An amazing infographic that explains the ideals of personalized learning. through high school and university biology lectures (you know, the ones you jolt awake from), then you know how boring it can sometimes be. In an attempt to change the minds of the few who now sit in front of me in my Grade 12 bio class, I am about to force them on a journey of learning. Perhaps force is a strong word… motivate and support them. In spurts of learning throughout the beginning of this year, my grade 12 bio class has been lectured to only a handful of times (I do see it’s importance), and instead, have been challenged to investigate protein transport disorders, play with lego in a TPACK inspired DNA/RNA learning challenge, create videos to explain processes of DNA replication, transcription, and protein synthesis, use twitter to share and discuss ethics surrounding biology and technology, and now I am taking them to a new level…I hope. My current and most arduous assignment is what I am calling the Molecular Genetics Challenge; a very open, personalized, and project based journey. Alright, some background on why first. My learning community is pretty amazing. Through Cohort 21, colleagues, and those I follow on Twitter, I have been exposed to many ideas on project based learning. This community is what has motivated me to look at things in a new light. After some discussion with various people, I gained the confidence to do something different and break away from more traditional biology classroom; especially in a grade 12 class where pressure to perform is at all time highs. My goal or action plan is to take project based learning and combine it with the ideals of personalized learning. It was the infographic to the right that really got me thinking (click to see full size). After reading through it I went back to the curriculum and realized that the Molecular Genetics unit in Grade 12 biology is designed perfectly for a personalized project based learning assignment…or journey. Step 1: Curriculum Documents. Using the curriculum documents and the essential questions for the unit, students will decide on a project/thesis that will best lead them down their path of learning. Step 2: Proposal: Students will create a one page proposal with their thesis and rationale which will be submitted for approval during a conference with me. Step 3: Research. Students will need to compile resources and create an annotated bibliography to demonstrate their research and to mimic expectations that post-secondary institutions have. Step 4: Project completion. How the project is completed and the final project will be entirely up to the student. I will provide resources and feedback daily. Step 5: Project defence. Like with a thesis defence in a Masters program, students will defend their project to another faculty member and myself. This will be limited to a 10 minute presentation of their journey and learning. The classroom will be divided into working spaces to ensure that students are directed and that they have support from others who are working on the same stage of the project. 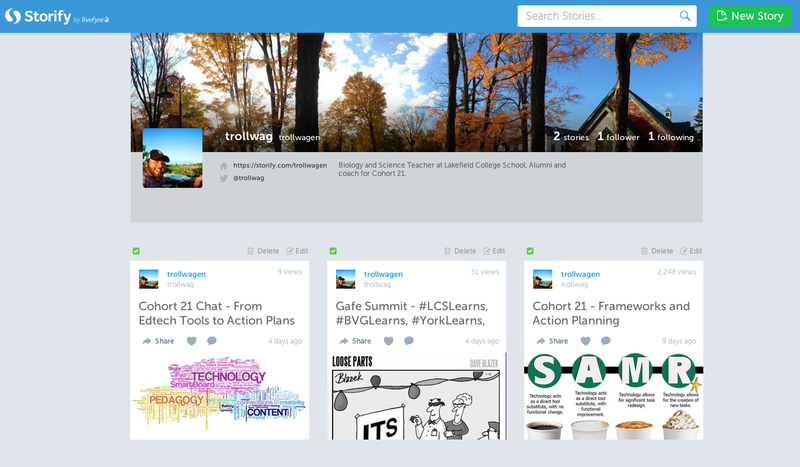 They will also be encouraged to share successes, questions, and concerns via their classroom hashtag on twitter. I am continuing to look for ways of making this better for the students. Please feel free to comment and share your ideas. What are your thoughts on personalized and project based learning? I always wonder if the Growth Mindset is one born innately or one nurtured through years of situational experiences that push your comfort zone. For me, various things have lead to the development and need to have a growth mindset in my everyday life. 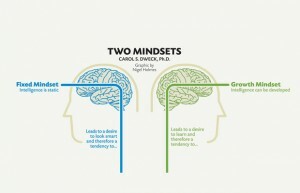 A personal desire to always enjoy the things I do, a need and desire to have change in my life (a slight ADD personality may be to blame here), a push for lifelong learning and curiousity, and the need to be valued as a member of a community have all been part of developing my own growth mindset. 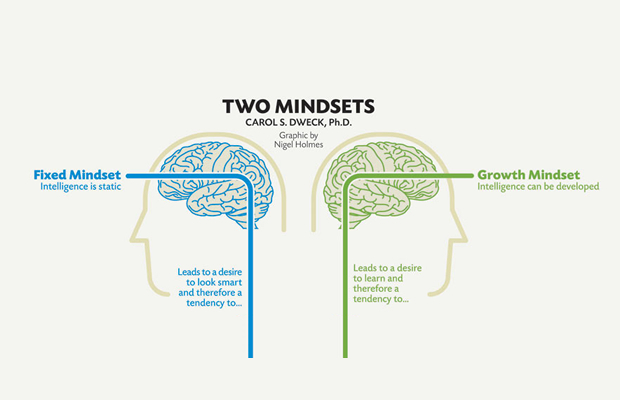 Carol Dweck, a professor at Stanford University, has spent her life studying growth mindset, challenge based learning, and various other psychology based problems regarding mindset. Something that struck me was how growth mindset was defined; simply put, when students and educators have a growth mindset, they understand that intelligence can be developed, failure needs to be embraced, and most importantly, that it is possible to control your mindset. I do strongly believe that we, as children, are innate natural-born learners. We have a growth mindset, we explore new boundaries constantly, and failure is an everyday occurrence that needs to be overcome and is…or else we would never walk, talk, eat, play, you get the point. My question is, where then does the fixed mindset come from? Why is it, that as some people get older, they stop challenging themselves? Specifically, in their professional lives. The inner ‘Gremlin’ (Check out ‘Taming Your Gremlin’ by Rick Carson) or the internal ‘you’ that convinces you that it is not possible to step outside your comfort zone because it might result in failure. Culture and societal pressures within the workplace and within our lives that set up an environment where fixed mindsets persist and the outliers become only those who wish to grow. Ownership of speciality areas within the organization that frowns on collaboration. The ‘this is my course’ attitude. I am a ‘science guy’ and it is quick to notice that these barriers would simply perpetuate themselves in a positive feedback cycle. That is, until an unbalance makes a ripple that disrupts the cycle. This leads me to what I call the ‘reincarnation’. So how do some break the cycle, or perhaps never enter it? As like many ‘self-help programs’ there must be a step by step system. In an attempt at understanding why and how, I have come up with ways that growth mindset can be nurtured back to health. People need motivation. It can come in many forms. One form being, passionate people with ideas and a good understanding that can lead people from a fixed mindset, to a motivated mindset, and finally to a growth mindset that is internalized and self-motivated for the future. Sometimes, it’s all about getting the ball rolling or acknowledging achievements. Growth is relative to the person. Just because perceived growth seems minor, it is still an accomplishment and this needs to be acknowledged. Challenges and failures must be supported, understood, and built upon through collaboration. My reincarnation or perhaps re-motivation of my own growth mindset came in the form of Cohort 21; a well designed, well lead PD program developed to nurture growth and change mindset to fit learning in the 21st century. For me, this was the ‘ah ha’ moment. In the name of science I have put together a bit of a Mindset survey. Please feel free to add to the growing results! The idea of going paperless, though not a new one, came to us in a collaborative meeting the grade 10 science team had today after school. For years, we have struggled to really make the Climate Change unit cohesive, fluid, and interactive. Not to say we haven’t tried or haven’t had any success in the unit, but every year it is one that seems to undergo major reconstruction. Perhaps this is a good thing, Climate Change and the concepts behind it are simply not as linear as the chemistry, physics, and biology (though less so) units. The study of climate is political, dynamic, and misunderstood and it lends itself to a much more different approach in pedagogy. The essential questions and enduring understandings see to have a better chance in coming to life in a more personal way. Our attempt at making it stick out a little better this year involves taking the entire unit to a completely paperless world. Some may argue that this is not conducive to the holistic learning of a child, but I would argue that if it is something that informs change and actually impacts slightly on the actual issue at hand, then perhaps its worth exploring. In the end, we hope that the students gain valuable skills, seek to learn more through digital media related to climate change, converse and discuss in a digital forum, and perhaps appreciate the fact that no pencil, pen, and paper was used during the unit that focuses on the impacts that we have on the world around us. And perhaps a small change in our everyday life can really invoke a greater difference in the world.